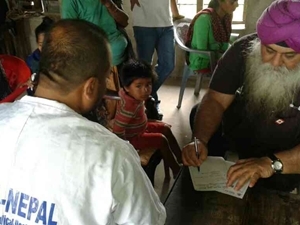 AMDA continues to support the affected people in Nepal with AMDA/GPSP (Global Partnership for Sustainable Peace) multinational medical teams. On May 10th, the second doctor from AMDA Canada has arrived in Nepal. Additionally, a physical therapist, a part of the fifth dispatched team, residing in Nepal had a meeting with AMDA Nepal and talked about the plan of supporting patients for their rehabilitation after surgery for fracture at Tribhuvan University Teaching Hospital. AMDA/GPSP Multinational Medical Teams are divided in 5 teams and working in different districts. From April 26th, the second day after the earthquake, to May 8th, AMDA Nepal operated relief activities around Kathmandu. 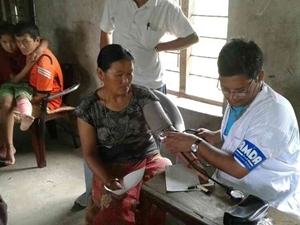 80 AMDA Nepal affiliated medical professionals saw 1,234 patients during their medical missions in 21 municipalities such as Sankhu city and Dharmasthali. 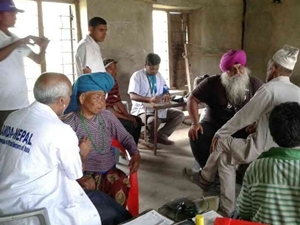 Due to high demand for the medical care, AMDA continues to conduct medical relief missions. 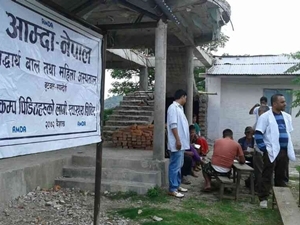 In Deurali of Gorkha District, multinational medical team of AMDA Nepal, AMDA Bangladesh, and AMDA Canada provided free medical consultations to the affected people at the secondary school. Gorkha district is the closest to the epicenter and difficult to access. 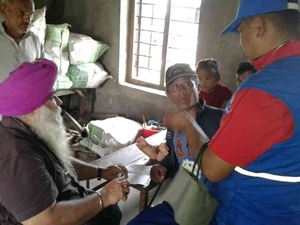 In Nuwakot district, multinational medical team of AMDA Nepal, AMDA Cambodia and AMDA India continue to conduct medical missions to the affected people. 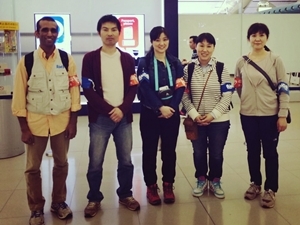 In Sindhupalchow district, multinational team of AMDA Nepal, AMDA Damak Hospital and the 4th AMDA team from Japan are collaboratively working on their medical missions. After two weeks, patients’ chief complaint has been different. Now, some patients are suffering from Posttraumatic Stress Disorder (PTSD) while others still come for the treatment of their external injuries. 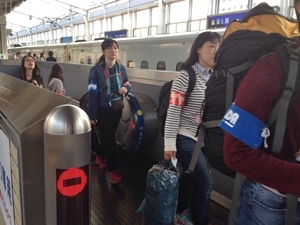 The 5th dispatched medical team departed Japan today to take over the 4th dispatched team. They will be arriving in Kathmandu tomorrow on May 11th.